For New Patients Only! Cannot be combined with any other offers. Does not apply to insurance. Exp. 4-30-12 Valid through: Apr 30, 2012. See the terms that apply to all deals. 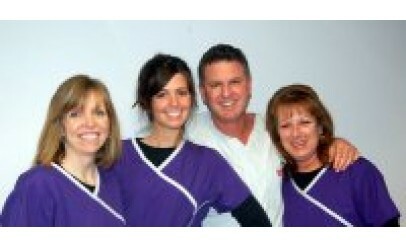 Included with this offer: Dental exam, X-Rays, Prophylaxis Scaling and Screening for Oral Cancer. (Panoramic X-Rays not Included). Exp. 4-30-12 Our mission is to provide quality dental services, in an inviting, comfortable setting using state of the art technology. We are dedicated to providing the best care and attention possible to make sure that our guests are satisfied with their visit at Sachs Family Dental. This Full Cleaning Special includes: Dental Exam, X-rays, Prophylaxis Scaling, and Screening for Oral Cancer. Our mission is to provide quality dental services, in an inviting, comfortable setting using state of the art technology. We are dedicated to providing the best care and attention possible to make sure that our guests are satisfied with their visit at Sachs Family Dental.